*** Sino-Indian border: New Deal is No Deal. Sino-Indian border: New Deal is No Deal. Dai Binguo is a respected Chinese politician and diplomat. Many in India will be familiar with him as the long time interlocutor with a line of Indian NSA’s in the Sino-Indian border discussions. He has served as a State Councilor and also as the director of the General Offices of Foreign Affairs and the National Security Group of the CPC Central Committee. A senior Chinese official once described him to me as China’s Kissinger. He retired in 2013 but his voice is still heard in the higher echelons of the Chinese Communist Party and his voice is also often their voice. Hence it’s as important to have him hear you, as it is to hear him. Dai returned to our headlines on March 2 when he told the Beijing-based magazine “China-India Dialogue”: "The disputed territory in the eastern sector of the China-India boundary, including Tawang, is inalienable from China's Tibet in terms of cultural background and administrative jurisdiction. The major reason the boundary question persists is that China's reasonable requests [in the east] have not been met. If the Indian side takes care of China's concerns in the eastern sector of their border, the Chinese side will respond accordingly and address India's concerns elsewhere." Will the wave of terrorist attacks in Xinjiang prompt China to tweak its national security priorities? Chinese authorities conducted mass parades of thousands of security personnel and military equipment in the Xinjiang Uyghur Autonomous Region on February 16 and 17. The parades, conducted in the major southern cities of Kashgar and Khotan, as well as the provincial capital, Ürümqi, were described by state media as anti-terrorism “oath-taking rallies.” Chinese Communist Party deputy secretary Zhu Halian asserted that the rallies demonstrate China’s resolve to use “thunderous power” with “guns by our bodies, knives unsheathed, fists out and hands extended” to “strike hard” at Uyghur terrorists throughout the region. The rallies follow a wave of terrorist attacks in the region over the past year and mounting evidence of Uyghur militant involvement, not only in historical hotspots such as Afghanistan and Central Asia, but also Syria and Iraq. Illustrative of the extent of this latter dynamic have been three developments over the past year. 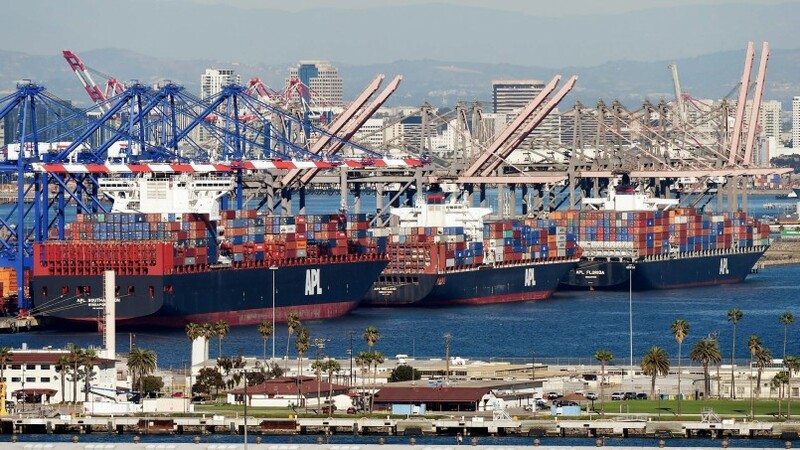 At its core, the Trump trade agenda aims to return the United States to the forefront of the global system while supporting growth in the domestic jobs market. Specifically, according to a leaked copy of the report, it "reject[s] the notion that the United States can strengthen its geopolitical position by adopting trade measures" that make U.S. industries weaker globally. This represents a repudiation of the strategy pursued under President Barack Obama in which the pursuit of multilateral trade agreements such as the Trans-Pacific Partnership (TPP) was as much about achieving regional political goals as solely economic ones. But despite its rejection of some existing norms, many of the policies that the new agenda prescribes are not that different from those pursued by previous administrations. In a more fundamental sense, the prevailing understating of the nation state as “father”, “mother”, etc. has de-historicised and reified the true nature and context of the modern state, thereby condoning the many atrocities committed by states around the world. There is therefore a need to ‘de-anthropomorphise’ the nation state to gain insights into its historically appropriate character. Repeatedly thwarted by China from gaining entry into the Nuclear Suppliers Group (NSG), India has moved to remind the world about its strong anti-nuclear proliferation credentials and showcase why it is a good candidate for entry into the global nuclear commerce body. India hosted a crucial global meet against nuclear terrorism in February to showcase its non-proliferation history and bolster its case for NSG entry. The Implementation and Assessment Group Meeting of the Global Initiative to Combat Nuclear Terrorism (GICNT) was held in New Delhi. The meeting again highlighted the continued priority India attaches to nuclear security and efforts to strengthen institutional non-proliferation frameworks and promote international cooperation. Inaugurating the meeting, India’s Foreign Secretary Subrahmanyam Jaishankar said, “Terrorism remains the most pervasive and serious challenge to international security. If access to nuclear technology changes state behaviour, it is only to be expected that it would also impact on non-state calculations. Nuclear security, therefore, will be a continuing concern, especially as terrorist groups and non-state actors strike deeper roots and explore different avenues to spread terror,” Jaishankar said. For its own reasons, Israel has been one of our most reliable friends. Isn’t it time we also demonstrated our friendship based on hard-nosed realities? Ajit Doval, India’s National Security Advisor, has spent two days this week in Tel Aviv to prepare for Narendra Modi’s visit to the Jewish state around mid-year. When that happens, Modi will be the first Indian Prime Minister to visit Israel, and that sends its own political message. That it has taken India a quarter century after the establishment of diplomatic relations to formally acknowledge Israel’s existence at the top-most political level speaks much for the pusillanimity of our strategic approach to important allies. If we can confabulate only in secret with a country that ought to be considered one of our best friends ever shows how much the Indian diplomatic establishment has been held prisoner by the morality-driven Nehruvian vision of national interest. Nehru believed that Palestinians were the wronged party in West Asia, and subsequent governments, with one anxious eye cocked at the domestic Muslim vote, have religiously mouthed this platitude. We have always talked our Palestinian ties up and our Israeli ties down. Prasad, Bimal. The Making of India's Foreign Policy: The Indian National Congress And World Affairs, 1885-1947. Delhi: Vitasta Publishing, 2013. 301 pp. It is easy to forget, sometimes, that the roots of a country's foreign policy are always embedded in its domestic politics and experiences. Postcolonial states are no exception to this rule, but a rupture in the continuity of self-rule - usually at a critical time in world history when the global order was undergoing major economic, technological, and political upheavals - left them inexperienced in the ways of the international community. Some states, such as India, were newly created and had no memory of ever having had to navigate international politics while holding together a state that defied every understanding of nationalism. Originally published in 1960 but reprinted in 2013 at the urging of former foreign secretary Muchkund Dubey and columnist C Raja Mohan, Bimal Prasad's The Making of Indian Foreign Policy: The Indian National Congress and World Affairs delves into the formative period of a modern Indian international outlook to suggest the antecedents that have informed Indian foreign policy in its independent era. It is heartening that both the Congress and the Aam Aadmi Party (AAP) , two major contestants in the recently held Punjab assembly poll, have taken note of the drug menace which has been devouring Punjabi society for quite some time and has become the most serious social question that will need to be addressed by the next government. The Shiromoni Akali Dal (SAD)-Bharatiya Janata Party (BJP) combination has also raised its voice against the malady but being the ruling combine it has been subjected to relentless attacks by the opposition parties over the drug menace issue. The problem is serious and deep rooted and is likely to cast its spell on the election result. Therefore, Arvind Kejriwal’s claim that the “AAP would break the supply chain of drugs within one month” (after coming to power) sounds a bit bombastic. After all, Kejriwal’s own estimate is that there are 40 lakh drug addicts in Punjab and the supply chain catering to such a huge number of clients must be labyrinthine in character. Congress Vice President Rahul Gandhi, basing his calculation on a survey, has also observed that around 70 percent of the Punjabi youth are now addicted to drugs. The strengthening of cyber capabilities is an important part of China's military modernization, the government said on Wednesday, warning that the internet should not become "a new battlefield". China, home to the largest number of internet users, has long called for greater cooperation among countries in developing and governing the internet, while reiterating the need to respect "cyber sovereignty". But Beijing, which operates the world's most sophisticated online censorship mechanism known elsewhere as the "Great Firewall", has also signaled that it wants to rectify "imbalances" in the way standards across cyberspace are set. "The building of national defense cyberspace capabilities is an important part of China's military modernization," the Foreign Ministry and the Cyberspace Administration of China, the country's internet regulator, said in a strategy paper on the ministry's website. China will help the military in its important role of "safeguarding national cyberspace sovereignty, security and development interests" and "hasten the building of cyberspace capabilities", they said, but also called on countries to "guard against cyberspace becoming a new battlefield". Countries should not engage in internet activities that harm nations' security, interfere in their internal affairs, and "should not engage in cyber hegemony". BEIJING, March 1 (Xinhua) -- China on Wednesday released its strategy on cyberspace cooperation. The International Strategy of Cooperation on Cyberspace is the first China has released regarding the virtual domain. The aim of the strategy -- jointly building a community of shared future in cyberspace -- illustrates China's approach to cyberspace cooperation. Notably one that is based on peace, sovereignty, shared governance and shared benefits. The strategic goals of China's participation in international cyberspace cooperation are: the safeguarding of China's sovereignty, security and development interests in cyberspace; the secure and orderly flow of information on the Internet; improved global connectivity; maintaining of peace, security and stability in cyberspace; enhancement of international rule of law in cyberspace; the promotion of the global development of the digital economy; and deepening cultural exchange and mutual learning, according to the strategy. China's plan of action includes promoting the building of rule-based order in cyberspace, expanding partnership with other countries, boosting institutional reform in Internet governance, jointly combating cyber terrorism and crimes, and protecting individual privacy in cyberspace. Operation Protective Edge was the first significant military operation since The Six-Day War (1967) that was not investigated by a state commission of inquiry. This could indicate that after all, the public does not conceive this operation as a total failure. Wars being what they are, Operation Protective Edge uncovered profound failures and tactical faults from which lessons should be derived at all levels. The main problem is the fact that the State Comptroller's office cannot be the organ that would draw the significant lessons from any operation, military or diplomatic. This may be explained by many reasons, the primary one being the fact that the State Comptroller's office is authorized and accustomed to investigating processes – not the quality of decisions. This is a significant difference, which led the State Comptroller to investigate in depth a number of serious failures like the tunnel omission (which, to a considerable extent, was known in advance), while completely missing the truly important lessons. The president’s use of the term “radical Islamic terrorism” was a significant element his campaign. It distinguished him from former President Obama who refused to use the term. It demonstrated Mr. Trump’s clarity of thought and his rejection of the politically-correct way we’ve fought the war. Those words demonstrate Gen. McMaster’s belief that the terrorist ideology isn’t connected to Islam. That belief was held and often voiced by Mr. Obama. Mr. Obama repeatedly professed that belief to explain the rationale for his politically-correct way of warfare. As two non-Muslim experts on Koranic law told me, the Obama-McMaster interpretation of Islamic scripture is plainly wrong. The global rise in resistance to antibiotics is threatening the foundation of modern medicine. Just as the invention of penicillin and other antibiotics transformed health care in the 20th century, today, waning effectiveness means that at least 23,000 Americans die each year from drug-resistant bacteria. Soon, therapies we take for granted like elective surgery, cancer treatments, and the immunosuppressants that enable organ transplants could become too dangerous because of the risk of infection. Simple cuts could become fatal, just as they often were before antibiotics revolutionized medical care. In 2016 the Review on Antimicrobial Resistance—a report commissioned by then-British Prime Minister David Cameron—estimated that by 2050, 10 million lives would be lost each year globally due to antimicrobial-resistant infections, cumulatively costing 100 trillion US dollars. Considering the urgency of the problem, we understand remarkably little about the causes of antimicrobial resistance. Rounds of finger-pointing, in which doctors blame the problem on overuse of antibiotics in agriculture and farmers blame overuse in medicine, have done little to shed light. Rapid scientific advances, though, are giving us hints on how to get to the root causes. They suggest we need a “One Health” approach: That is, we can only understand—and ultimately stop—antimicrobial resistance by looking at human, animal, and environmental health together. When these three areas of study fail to share and communicate, we can’t see the whole picture. There have been a great many books published on the subjects of insurgency and counterinsurgency since the inception of the Global War on Terror (or “current, ongoing overseas contingency operations”, if you prefer); a number of these have focused on the U.S. Army’s mistakes in Vietnam or on the efforts on the United States and its allies in Iraq and Afghanistan. 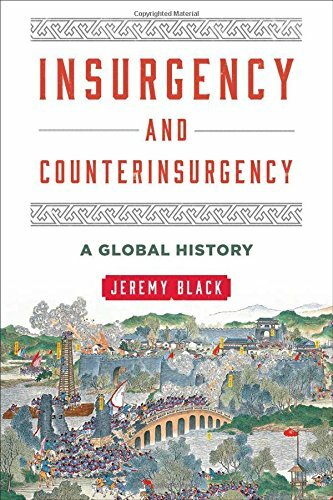 Jeremy Black’s recent contribution, Insurgency and Counterinsurgency: A Global History, offers more insight; it is a comprehensive history of insurgency and counterinsurgency warfare that is not limited in scope to the efforts of Western powers. Early in the work, Black demonstrates that insurgency and counterinsurgency warfare are not new military concepts; “the intention is to show that insurgencies have happened across organized human history and are therefore far from being a characteristic of modernity.”[i] Discussion of the ancient world is limited to the first and second chapters, where the purpose of the inclusion of this material is to demonstrate that insurgency is not a phenomenon exclusive to modern – or Western – warfare. The narrative takes the reader around the globe and from the ancient world to the modern at a rapid pace once the reader begins this compelling and engaging work, it is difficult to put down. Insurgency and Counterinsurgency: A Global History offers a uniquely international perspective as Black leads the reader from continent to continent, giving attention first to the small wars of ancient Asia and Africa, building up to those of Europe and its colonies. TEL AVIV – Two and a half years after Israel’s summer 2014 Gaza war, Israel’s comptroller general on Tuesday released his report on the 50-day conflict, with findings ranging from ill-preparedness vis a vis the tunnel threat and inappropriate reliance on military brass for strategic decisions that should have been made by civilian government authorities. In his voluminous report on what is known here as Operation Protective Edge, State Comptroller Yosef Shapira admonished Prime Minister Benjamin Netanyahu and his security cabinet for insufficient attention to strategic objectives regarding the Hamas-ruled Gaza Strip. Cabinet meetings on the issue, he wrote, were “limited,” particularly regarding alternative options to use of military force. War objectives that were authorized by the government, he wrote, were determined by the Israel Defense Forces (IDF), and not by the security Cabinet. “The Cabinet is the long arm of the government, and according to basic law, the military is subordinate to it,” he wrote. He took Netanyahu and former Defense Minister Moshe Ya’alon to task for not involving other relevant ministers in decisions taken between the two of them at the recommendation of the IDF. A former NATO commander says the U.S. is falling behind countries such as Russia and China when it comes to modernization of its armed forces. "We've taken it for granted. For 25 years we had the best ... armed forces in the world," retired U.S. Army Gen. Wesley Clark said in an interview with John Catsimatidis that aired Sunday on New York's AM 970. "The United States has mostly put its military modernization on what's called a 'warm idle.' We've done some research, we’ve looked at what we need. But we have not bought the stuff that is cutting-edge," he said. The retired general argued that the U.S. has been mostly focused on bombers, missiles and other combat-related expenses for ongoing conflicts in the Middle East. "But Russia ... they have produced a new generation of armored forces," Clark said. "They have a T-14 tank that’s got active protection on it ... It has got things we don't have and armor we don't have." "It's the tank we would like to have in 2030. We are that far behind." WASHINGTON — Three years ago, President Barack Obama ordered Pentagon officials to step up their cyber and electronic strikes against North Korea’s missile program in hopes of sabotaging test launches in their opening seconds. But other experts have grown increasingly skeptical of the new approach, arguing that manufacturing errors, disgruntled insiders and sheer incompetence can also send missiles awry. 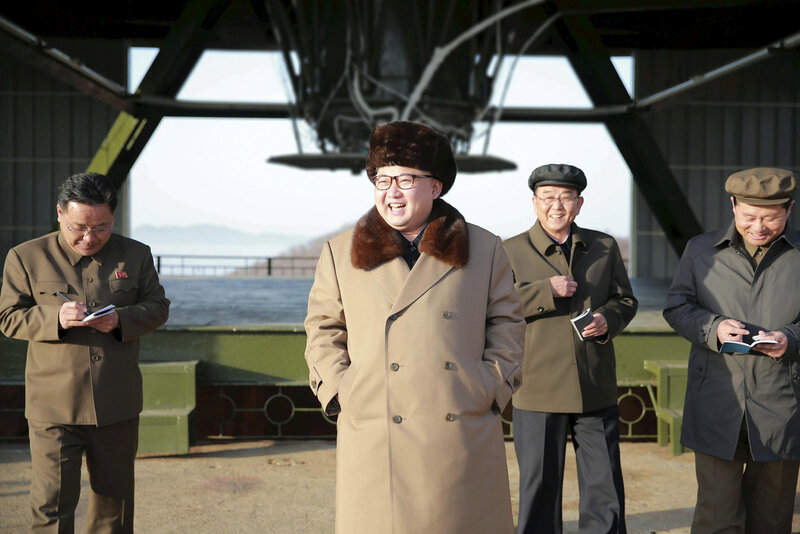 Over the past eight months, they note, the North has managed to successfully launch three medium-range rockets. And Kim Jong-un, the North Korean leader, now claims his country is in “the final stage in preparations” for the inaugural test of his intercontinental missiles — perhaps a bluff, perhaps not. Distinguished Service Cross recipient Richard Rinaldo spoke with Task & Purpose about the disparity between courage under fire and its recognition after the fact. Written by retired Army Lt. Col. Richard Rinaldo, the stories are drawn from a wide cast of characters, including Rinaldo himself, and stretch from today’s wars in Iraq and Afghanistan to as far back as the Civil War. “Courage in Combat,” which comes out March 9, is a mix of letters and first-person accounts which are at times tinged with nostalgia, yet simultaneously harrowing and enlightening. It reads less like a collection of individual stories or anecdotes and more like a meditation on the effects of combat. Some stories deal with the debilitating sense of loss following the death of a friend, others investigate the almost fickle way that fear impacts some, paralyzing them, while it seems to have little effect on others, until after the danger has passed, and then comes rushing back. It's interesting that hedge funds, traditionally thought to be the most secretive of financial institutions, have been proactive in pushing an open source software agenda. AQR Capital Management was probably patient zero when it came to opening up their code around data storage – and this move, shepherded by software engineer Wes McKinney, kickstarted the popular Pandas libraries project. Now he has returned to open source work at Two Sigma. We have also seen open source data storage offerings coming out of Man AHL in the form of Arctic. 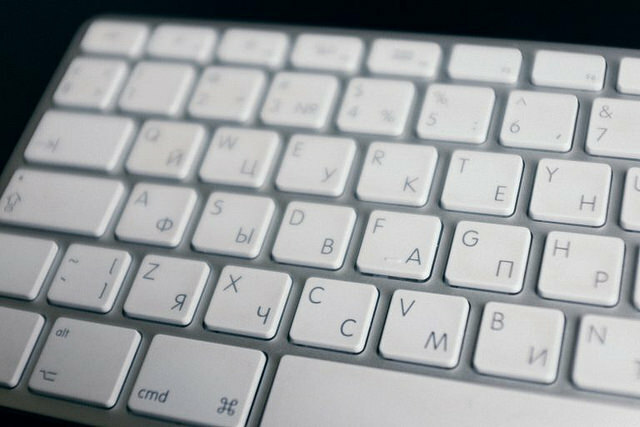 As Russia’s campaign to influence the US election falls out of the news cycle, it’s important to maintain a focus on the key lessons from the Democratic National Committee hack in order to understand what could’ve prevented it. The main takeaway is that any actor with enough resources and determination can compromise almost any system using an extraordinary range of tools (see here, here and here). The other is a fundamental change of thinking: total security is currently impossible to obtain and that there’s always a risk of your system being penetrated. 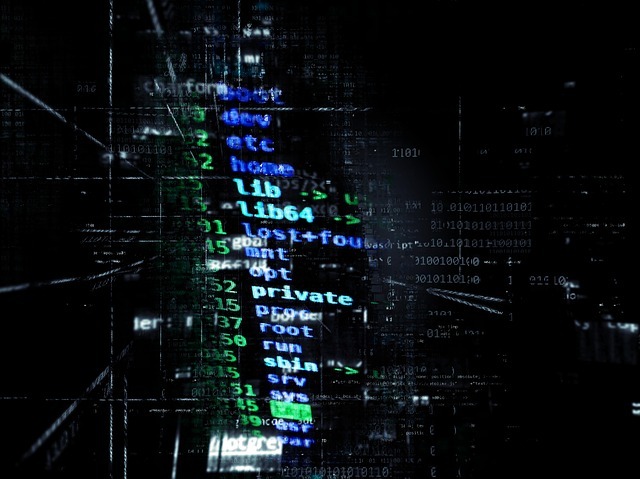 With operations and data breaches increasingly being used to embarrass, extort and influence, there are several ways to better understand and manage the risk. Nefarious actors waging information operations come from diverse backgrounds and have different agendas, from foreign governments and private enterprise to NGOs and lone actors. And sometimes they’ll “work” together, like when Russian military and domestic intelligence allegedly used a fake lone actor (Guccifer 2.0) to leak stolen government information to a real NGO (WikiLeaks). Hacker Andres Sepulveda and his team sold their services through private enterprises to political parties across Latin America seeking to infiltrate rivals and manipulate elections. Such examples highlight the complexity of information operations. To establish credibility or plausible deniability, the real mastermind may hide under many layers of intermediaries. To say things are changing is a giant understatement when you look at all that is going on these days in the national security space. Look at the current threat environment and the numerous threat actors that are out there and which we must defend against. Look at the widespread availability of advanced weaponry that can easily be acquired over the internet and especially via the dark web. Look at all the advanced cyber weapons that are currently available and put that in context to the target-rich cyber environment we have today, which is rapidly expanding due to emerging technologies. Clearly, this is the most dynamic time that I have experienced in my lifetime, and chances are that you feel the same. Given the dynamics of the cyberthreat environment, we must change and adapt to this environment immediately — or risk failing and falling behind. Perhaps part of the answer to this issue is for the defense and intelligence organization and industry players to think of themselves and more importantly act like a startup! To do so, out-of-box thinkers must be embraced and used on a continuing basis by all of the defense and intelligence organizations. The past year has seen significant developments in encryption technology, policy and legal cases. With a new presidential administration and Congress, it’s timely to consider the current state of encryption and what the future could hold. This two-part series explores some of the core issues around encryption. Part I explores legal issues and the implications of recent cases on encryption. Part II will survey recent developments in and the current state of encryption technology and policy. The terrorists were dead, and the FBI had one of their smartphones, but the device was encrypted. U.S. law enforcement’s well-known goal is ready access to all electronic data that could prove useful during a criminal investigation — whether the data is at rest or in transit. The combination of strong encryption and Constitutional protections can inhibit that goal. The legal precedent to compel a technology maker to bypass its own encryption of data at rest, in the spirit of the 1994 Communications Assistance for Law Enforcement Act that applies to data in transit.